"It’s the first time I’ve ever seen something like this." A Good Samaritan was passing by an alleyway in Los Angeles, California, last week when she stumbled upon the most bittersweet scene. 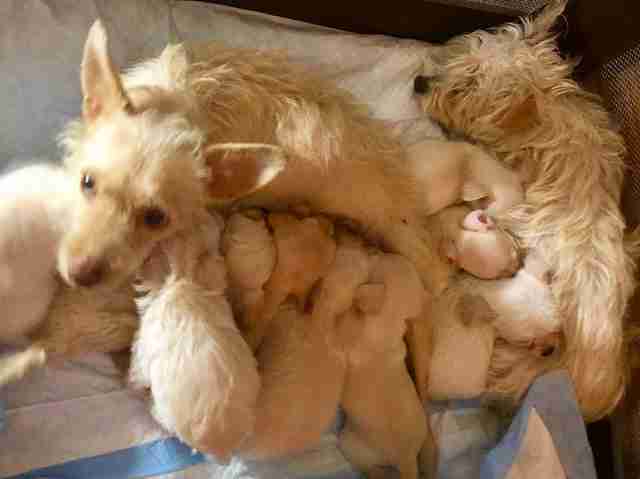 Huddled together on the ground were two skinny mother dogs — and they were tightly cuddling and nursing their nine babies. This alley was their only home, and they were raising their litters of puppies there together. The kind woman couldn’t bear to leave without helping the family first. She took them all off the streets and into her home until they could be transferred to Northwest Dog Project (NDP) in Eugene, Oregon, later that weekend. The rescue team noticed immediately just how special the bond that the mother dogs, whom they named Thelma and Louise, had with each other. While no one knows for sure where they came from, it’s possible the two could be related — or just happened to meet one another out on the streets and decided to stick together. No matter how the moms found each other, they’re now inseparable, and have taken on caring for their nine puppies together as a team. They’re all settling in nicely at the rescue and seem so thankful for the comfortable beds and blankets, Scott said. The moms spend a lot of time just relaxing and tending to the babies, and cuddling with one another as well. After sharing a post of the family on Facebook, the rescue was flooded with words of support from many women who, like Thelma and Louise, are single moms. 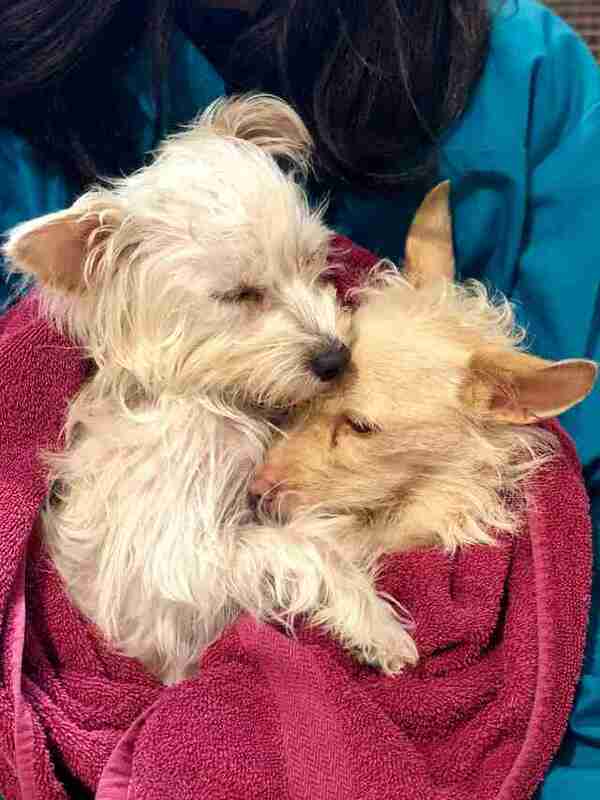 At around 12 pounds each with adorable fuzzy hair, Thelma and Louise both appear to be terrier mixes. Their pups are fairly tiny, so it’s likely they’ll grow up to be small to medium-sized adults. Taking after their moms, most of the puppies are girls — there are only two boys between the litters. At around 5 weeks old, the puppies are becoming so energetic and playful. 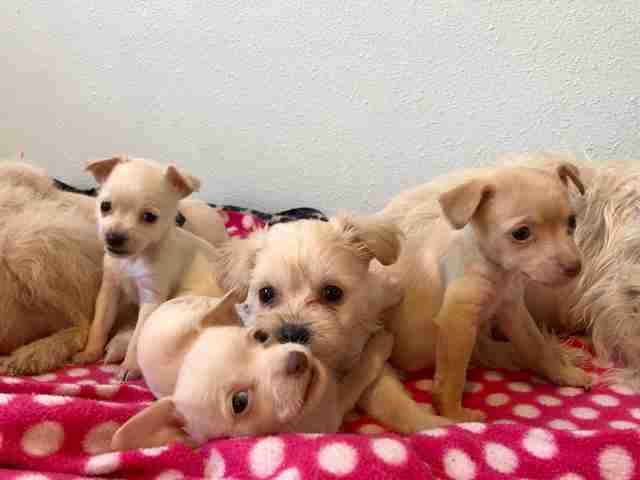 They’ll remain with their moms for at least another month until they grow stronger and can get all of their vaccines. Their moms will also be spayed before being available for adoption themselves. 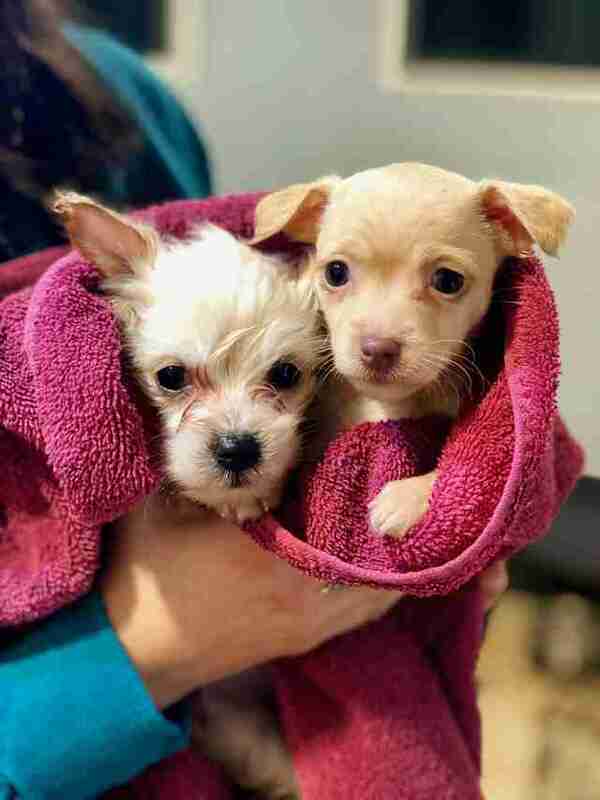 For now, the rescue team is overjoyed to be surrounded by so many little wagging tails and puppy kisses — and it’s clear the entire family feels just as lucky. If you’re interested in adopting any of the dogs when they’re ready, you can find more information here. 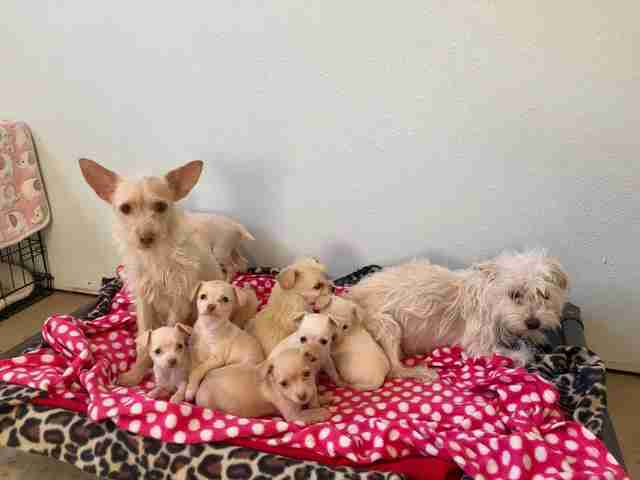 To help cover the care of this family, you can make a donation to Northwest Dog Project.